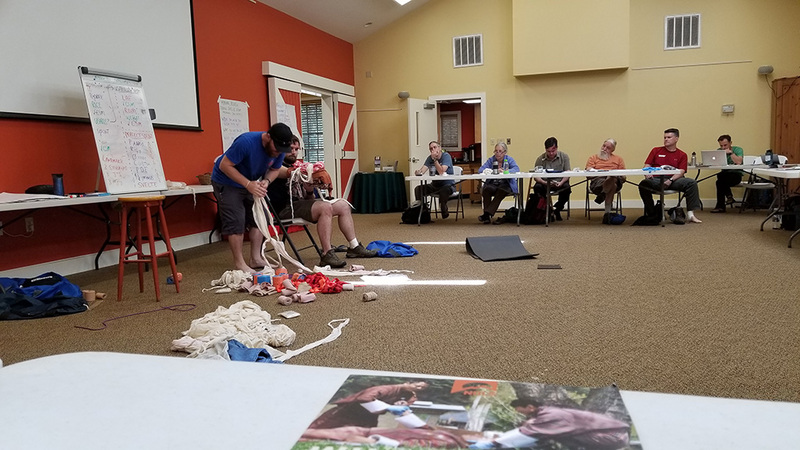 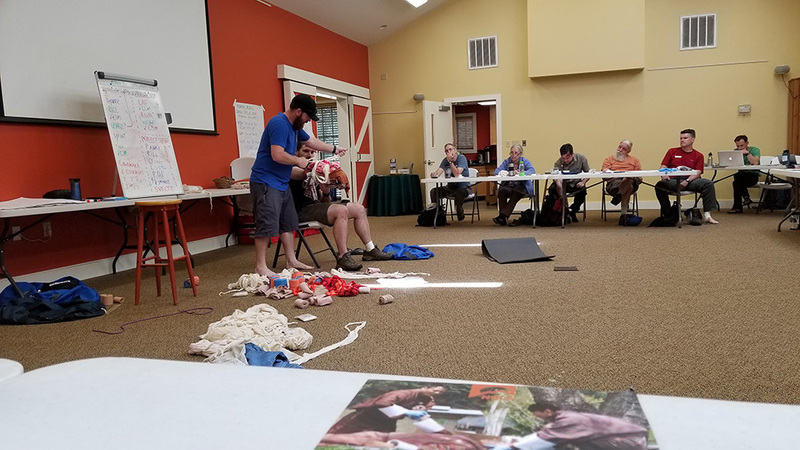 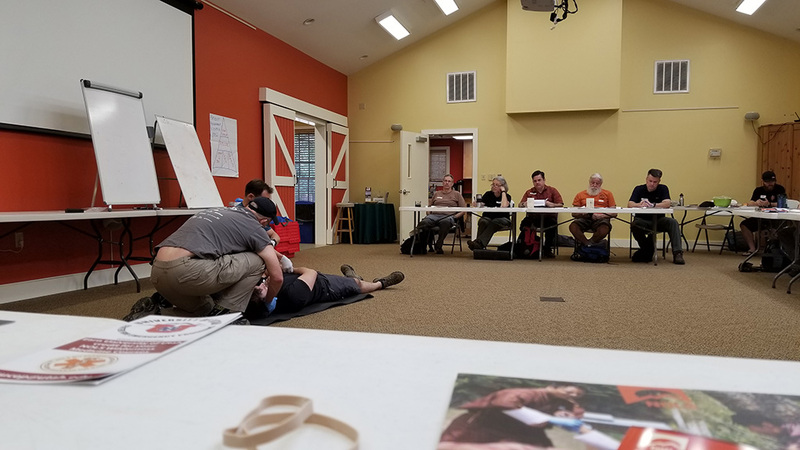 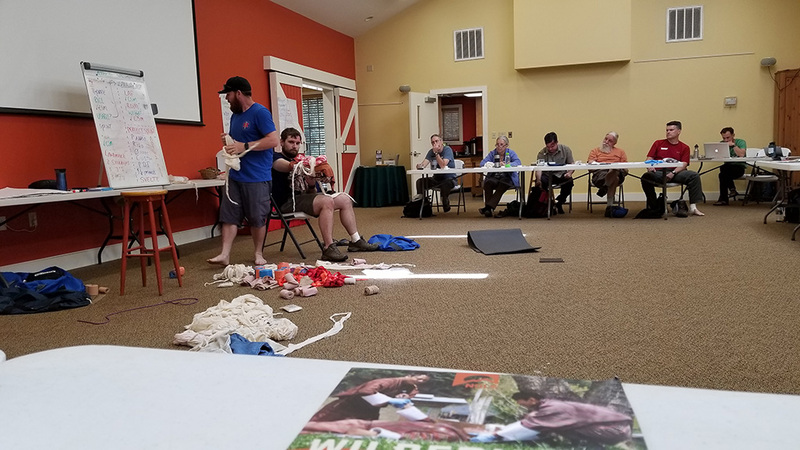 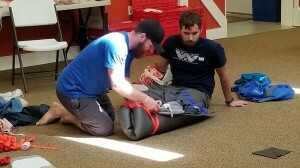 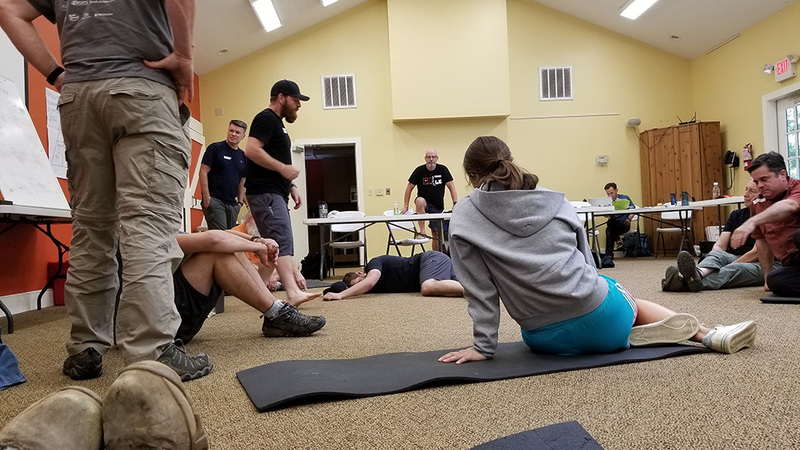 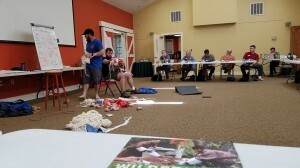 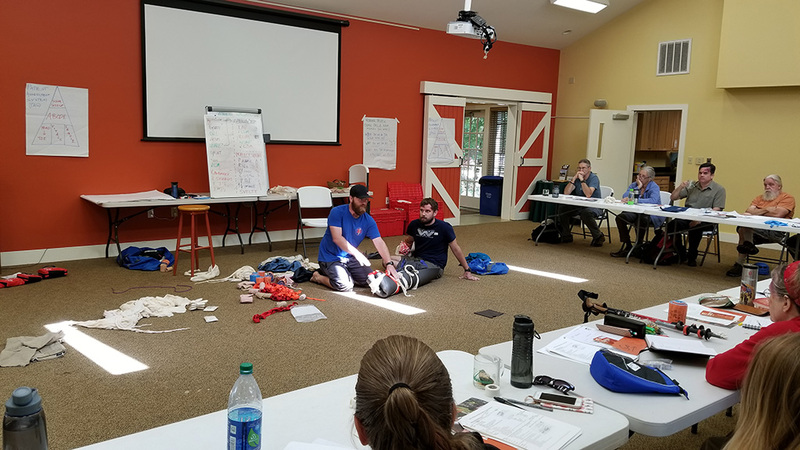 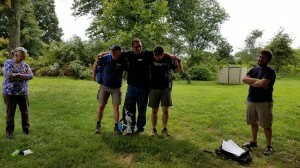 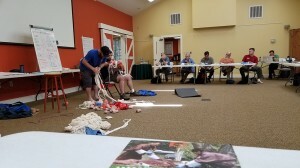 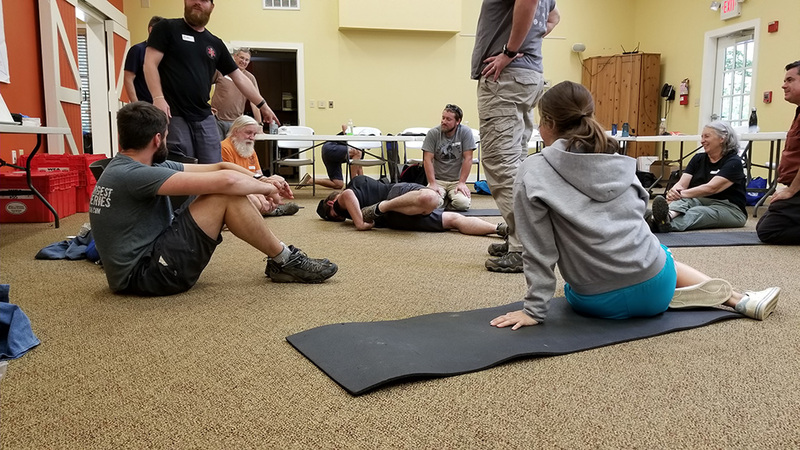 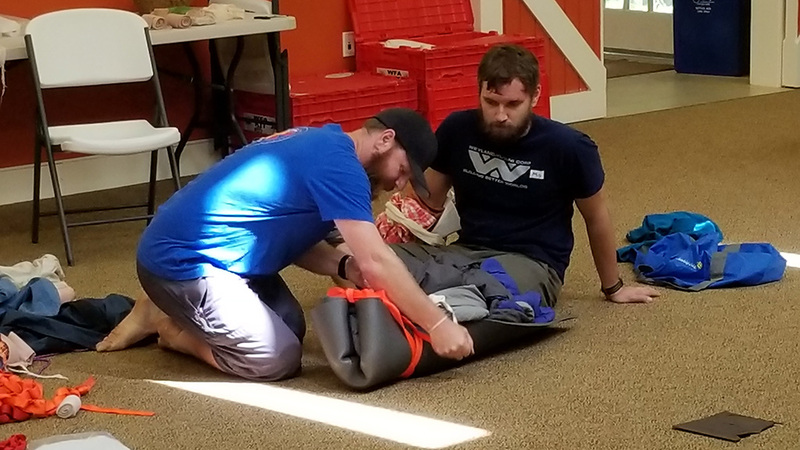 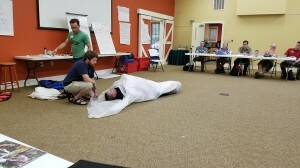 NOLS Wilderness First Aid Course | Capital Off Road Enthusiasts, Inc. 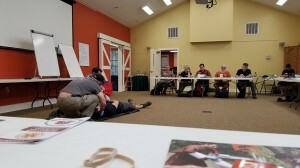 The 16-hour course was taught over a two day weekend. 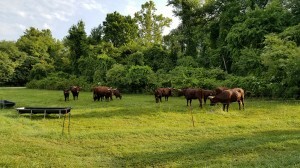 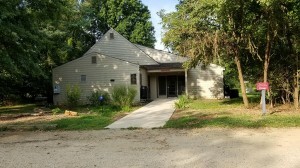 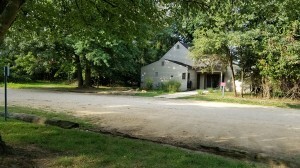 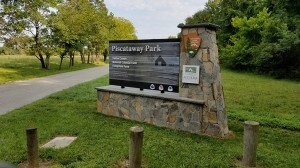 Taught at the picturesque Piscataway Park right on the Potomac across from Mount Vernon, the course was taught both inside the Visitor Center/Meeting Room and outside. 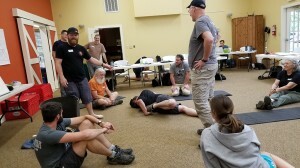 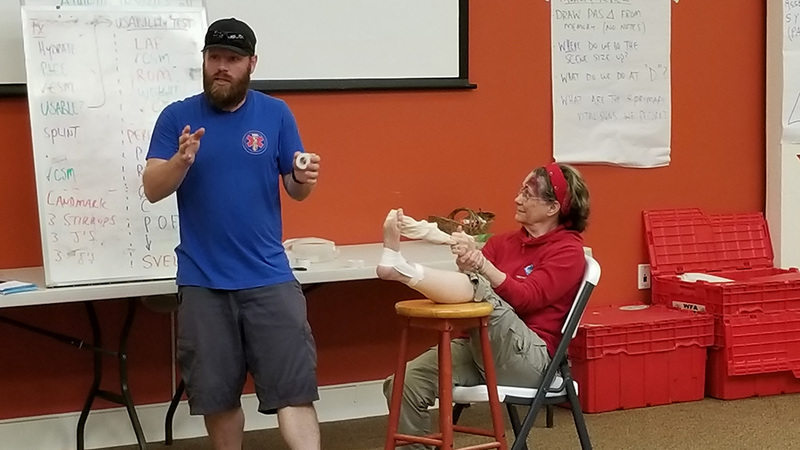 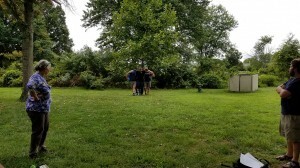 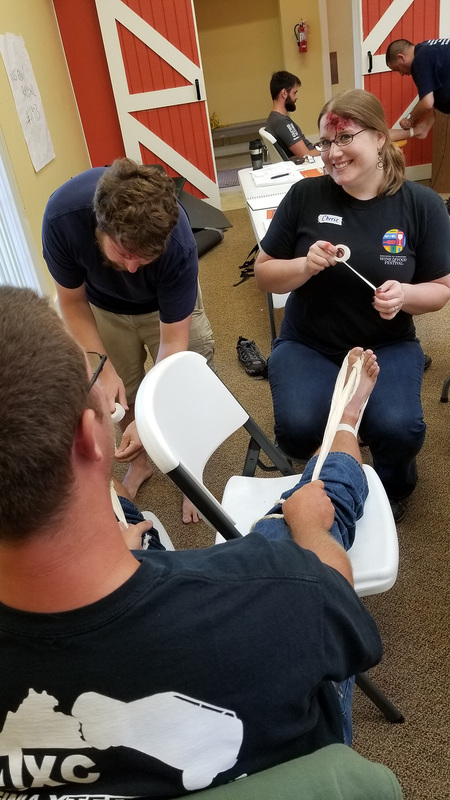 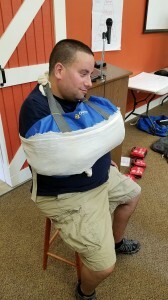 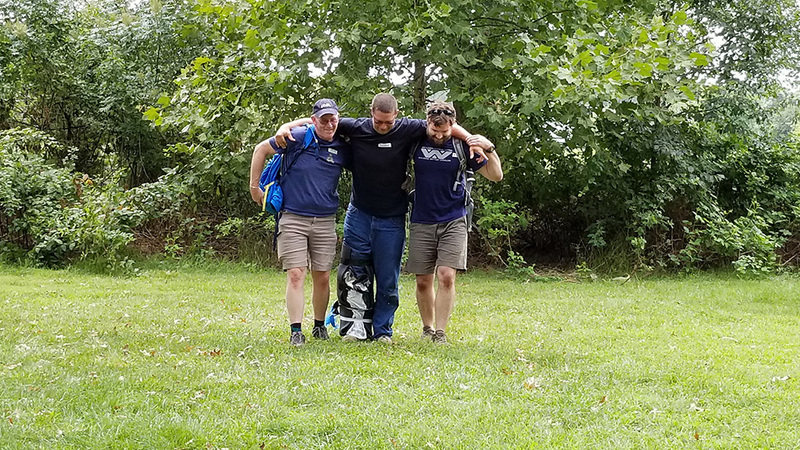 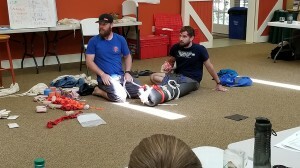 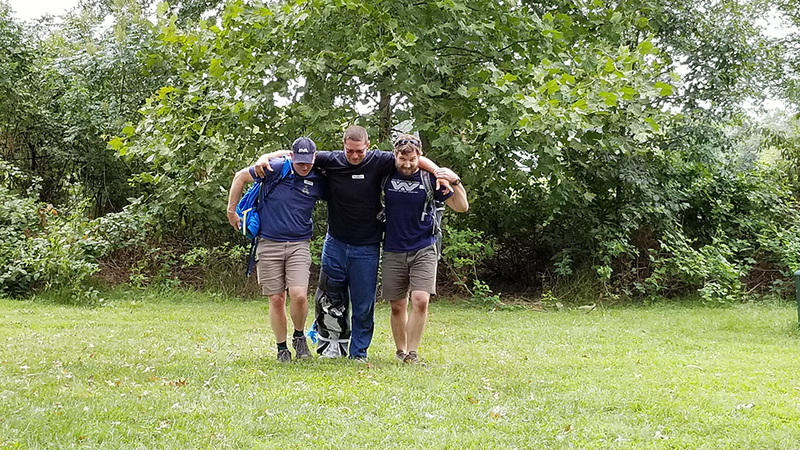 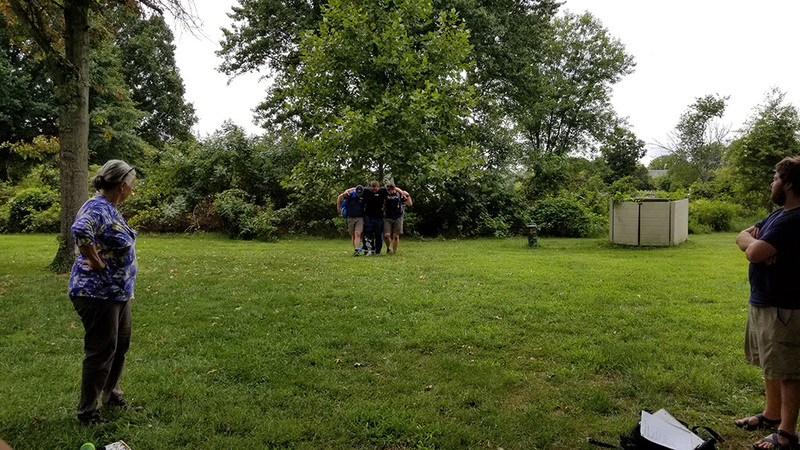 The training was a mixture of classroom instruction on various topics and examples of dealing with simulated patients, our fellow classmates, as we learned the steps to best assess and handle various types of injuries and conditions that we may encounter in the backcountry. 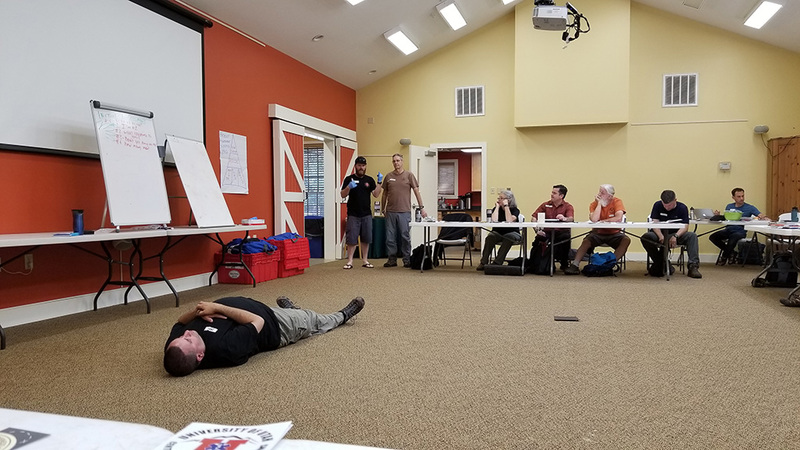 What was most interesting about this course was its focus on dealing with these situations often in locations far from help. 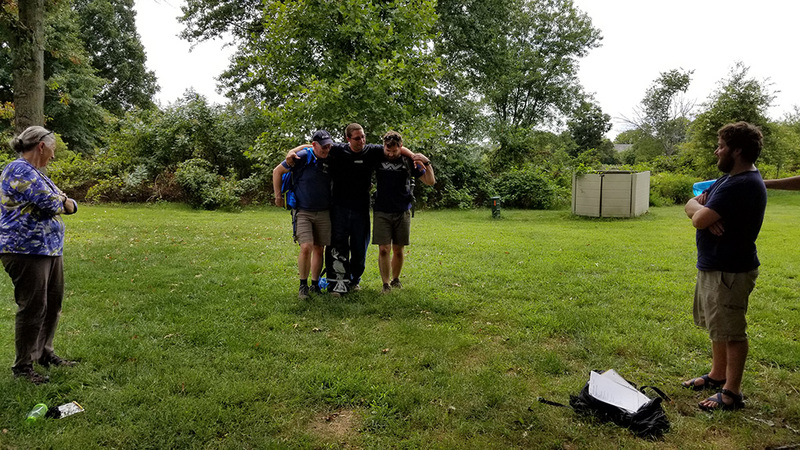 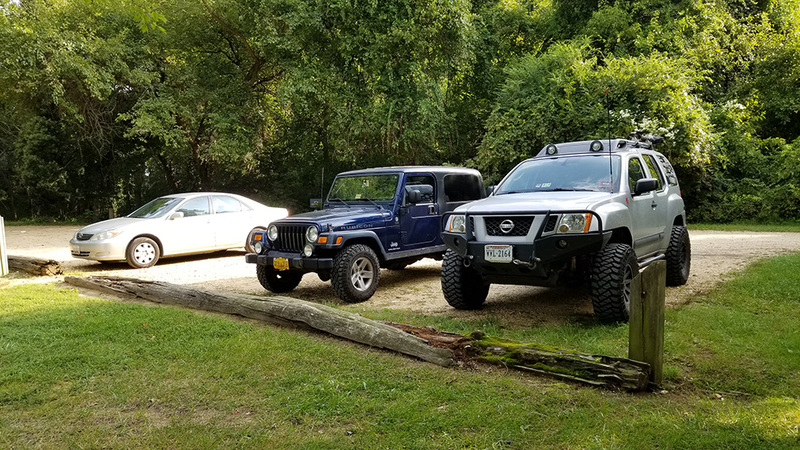 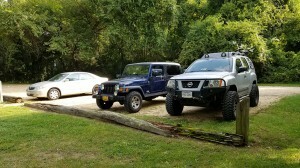 In our hobby we frequently find ourselves miles from the nearest paved road, often in wooded terrain (no heli support) and past terrain that would take people many hours or days to traverse on foot, and in terrain not traversable my normal rescue vehicles. 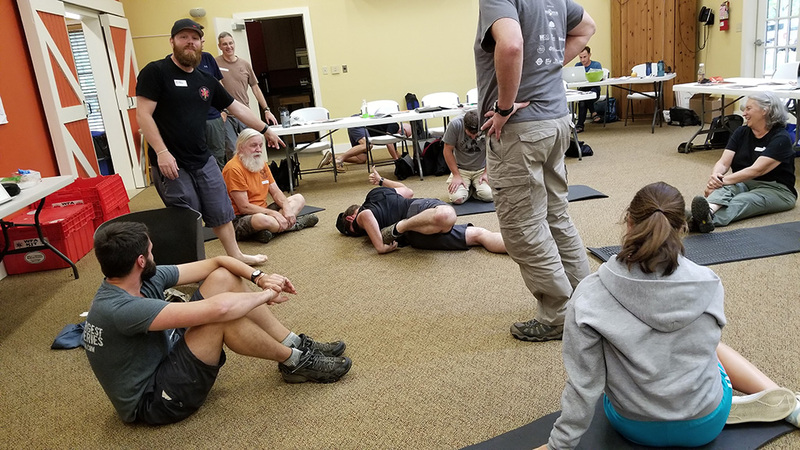 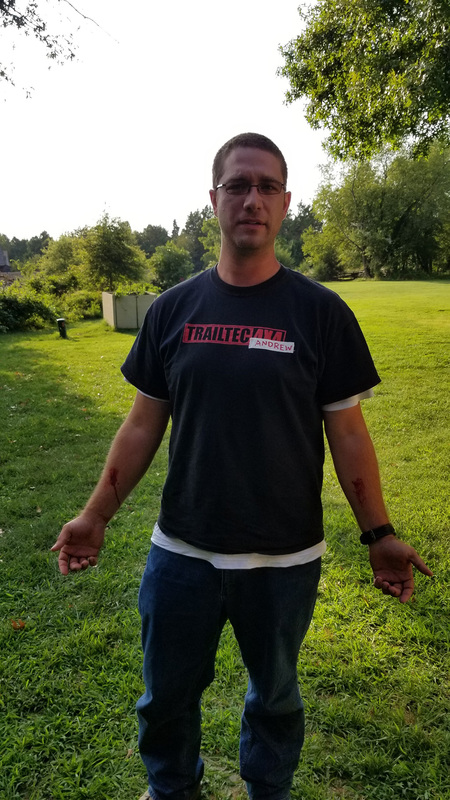 Because of this, as some of us have seen on the trail, being able to handle injuries as they happen to those in our own group, or others recreating in the same areas, could literally be the difference between life and death. 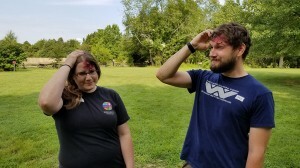 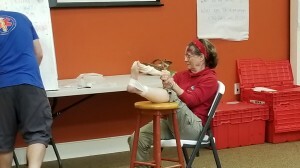 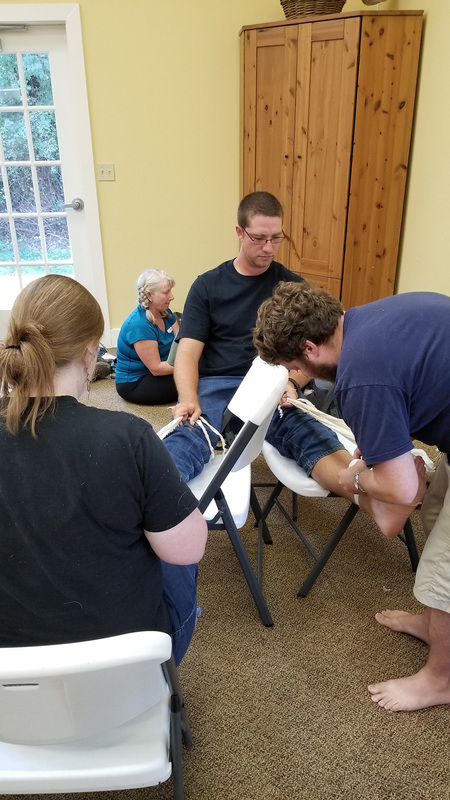 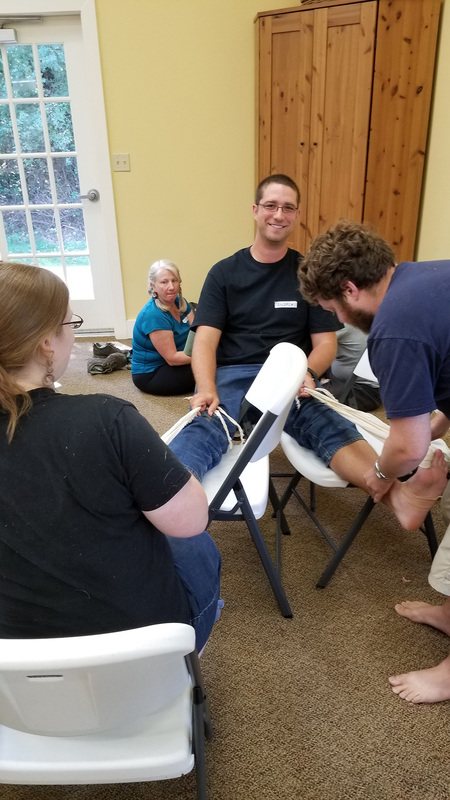 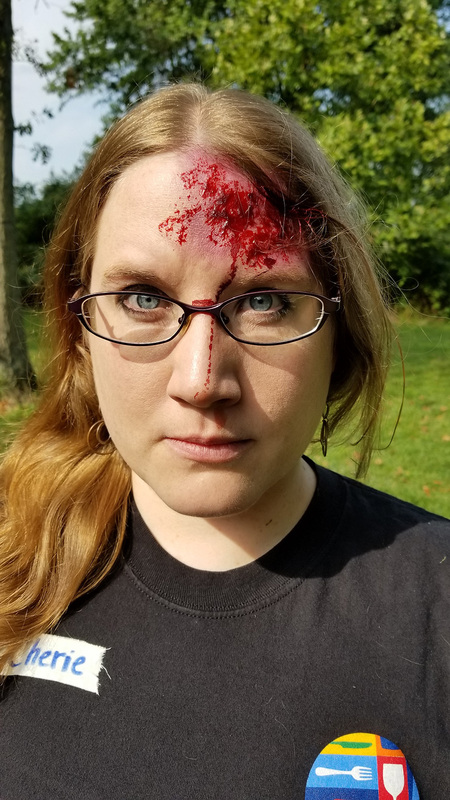 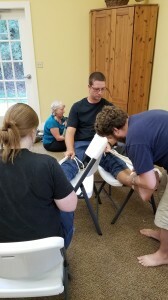 Probably the most fun part of this course was that 1/3 of the time you were the patient, often covered in fake blood, acting the part of an injured climber or hiker or bird enthusiast! 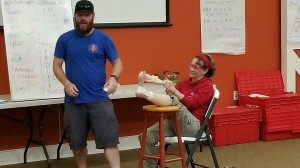 All four of us that attended the course would highly recommend it to others. 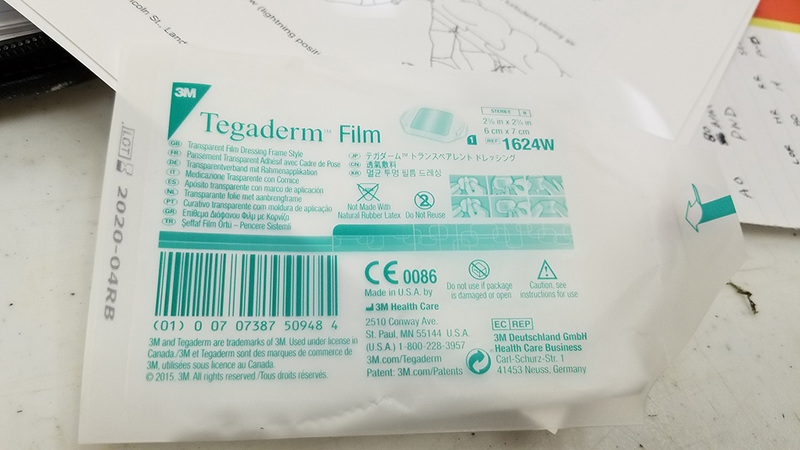 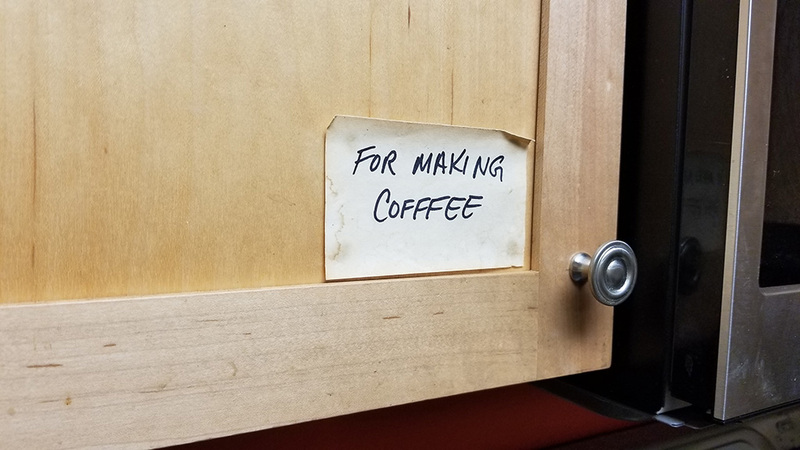 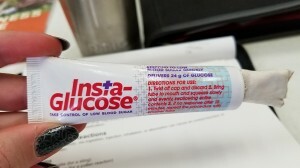 We hope we never have to use what we learned, but we’ll be much better prepared if we find ourselves in those emergency medical situations again. 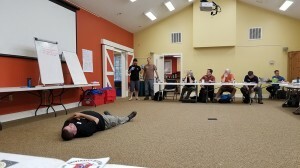 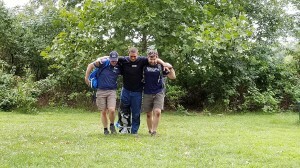 CORE Event First Aid, NOLS. permalink.